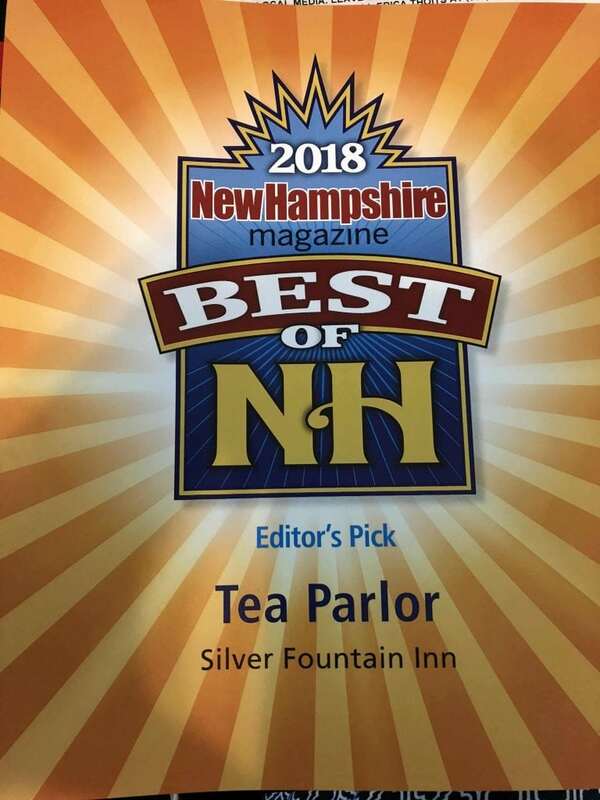 Thanks so much to the people at New Hampshire Magazine for voting us “Best Tea Parlor in NH”… how awesome! 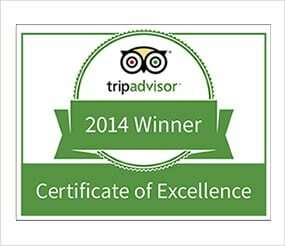 And thank you to all of our wonderful guests for being the reason we do this every day! White Grape – Which grapevine yields the best grape juice? Which delicate drop can complete our premium blend of white teas? It is your turn to decide whether our choice was the correct one. Fresh juice from sun-ripened grapes and an optic, which reminds of the glowing colors at harvest time. Red berries and the blue-violet color of blossoms, set on a bed of rich green, invite you to simply enjoy this excellent blend. Ingredients: China Pai Mu Tan, China Cui Min, rose hip peel, freeze-dried blackcurrants, flavoring, mallow blossoms, cornflower blossoms. Spring Beginnings – This harmonious premium blend of green and white teas offers you a hint of spring all year round. The lively, yellow colors of the ingredients remind us of the first warm rays of sun. 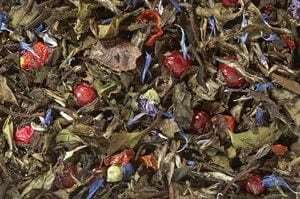 The palate is teased by a fruity, nippy aroma composition that makes this tea blend a real specialty. The combination of the different fruits flatters the smooth, fresh taste of the tea. Ingredients: China Sencha and Pai Mu Tan (81%), mango flakes, pineapple flakes, orange slices, flavoring, marigold blossoms, freeze-dried strawberry slices. Kombucha Plum – The Kombucha fungus is a symbiosis of different microorganisms and is said to have many positive and beneficial characteristics. It is assumed that Kombucha originally came from China and was already consumed by the emperors of the Quin dynasty. The extract we are using in this blend immediately dissolves when brewed. The fine, elegant taste of plums is heavenly. The very fruity scent is a pleasure, especially in spring and summer time. 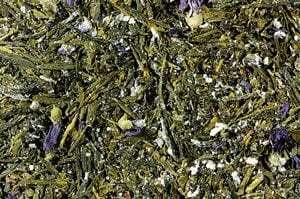 Ingredients: green tea (93%), Kombucha powder (malt dextrin (wheat starch), spring water, cane sugar, green tea, herbal blend (blackberry-, raspberry- and strawberry leaves, lemon grass, sweet calmus root)), flavoring, mallow blossoms. Orange Creamsicle – The name of this tea describes the intense taste which really hits your senses. A strong, sun ripened orange combined with mild yoghurt will make you taste the sun on your tongue. 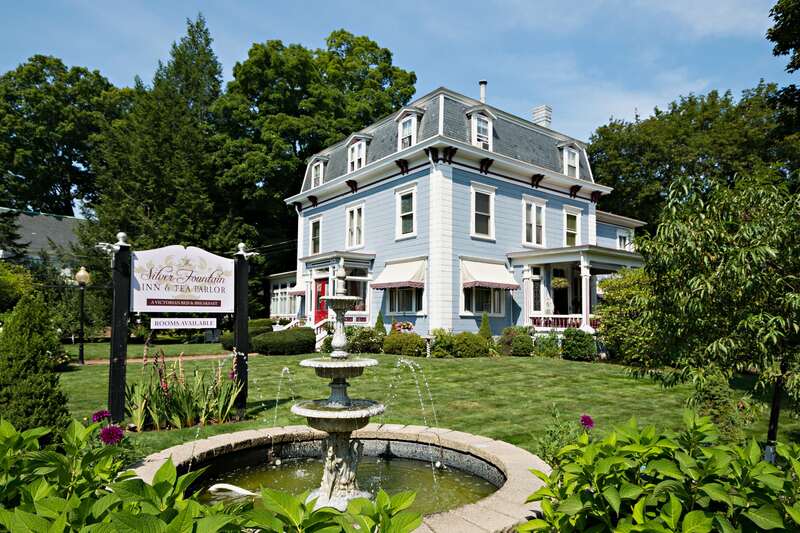 The taste is similar to a hard candy which owns fine, sweet lemony fruit notes. Thanks to the shiny orange peel and bright yoghurt pieces, this tea presents a visual sensation which unites fruit and freshness. A fresh and aromatic composition which makes you long for summer to come. Ingredients: Rooibos tea, orange peel, flavoring, freeze-dried yoghurt granules (skimmed milk yogurt (lactose), sugar, malt dextrin, modified starch: di-carbophosphate, acidifying agent: citric acid).